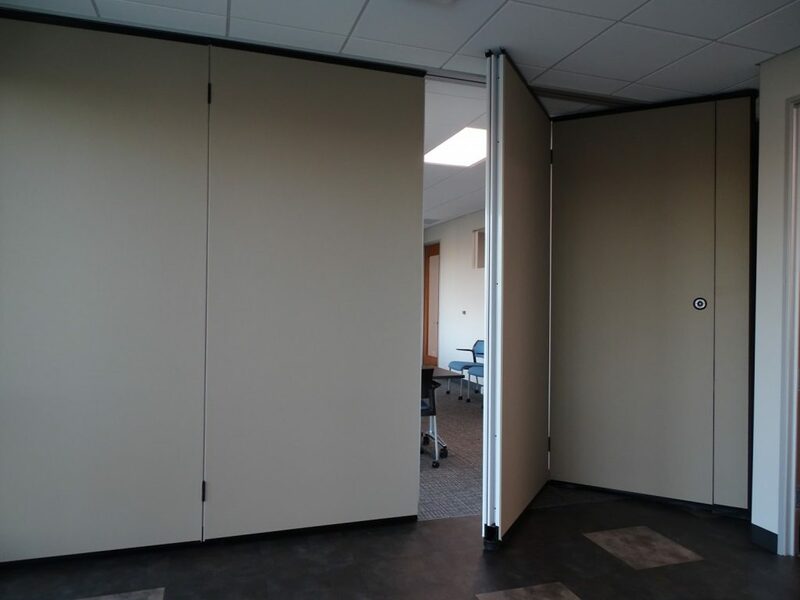 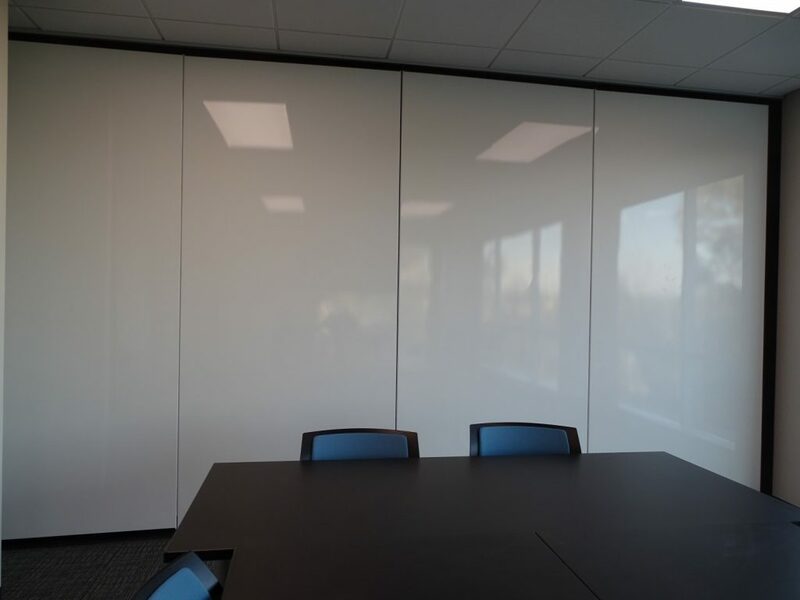 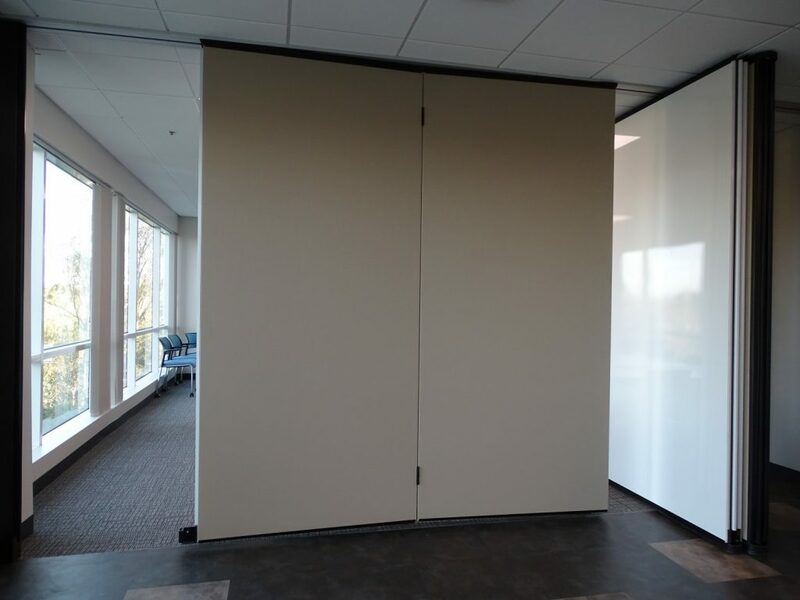 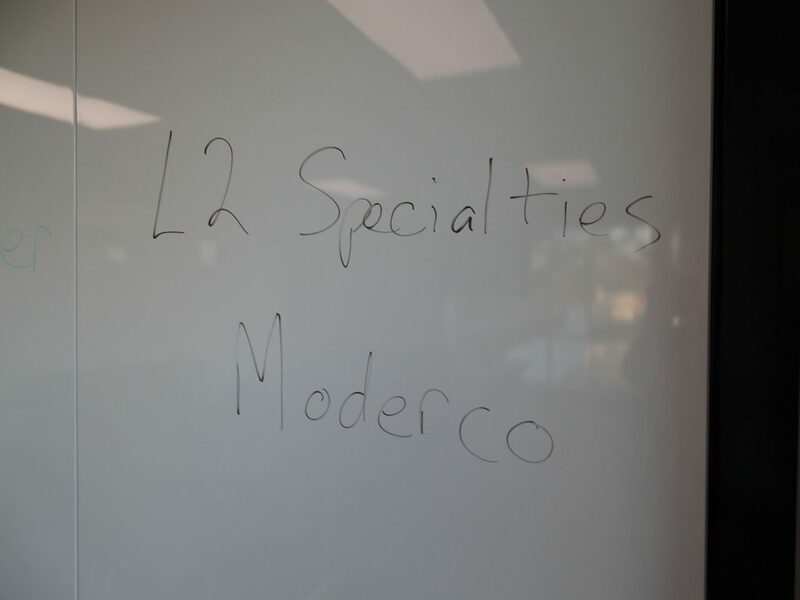 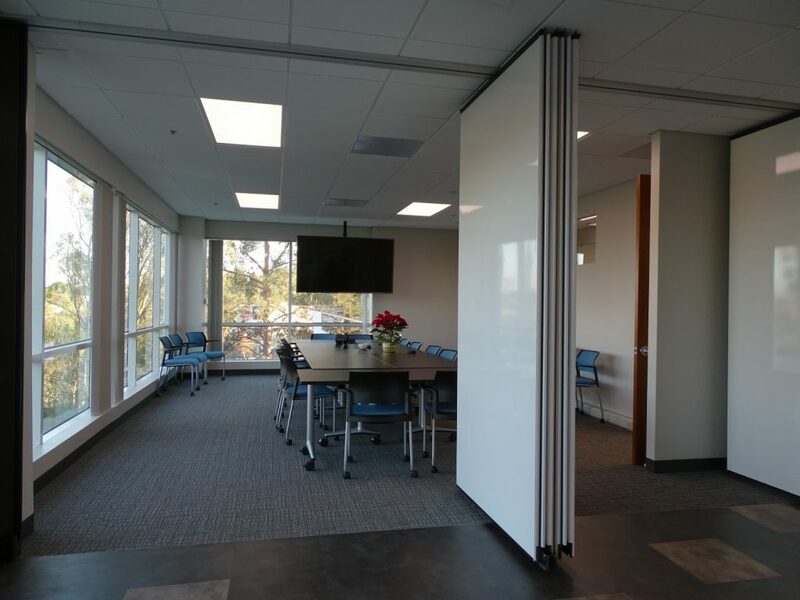 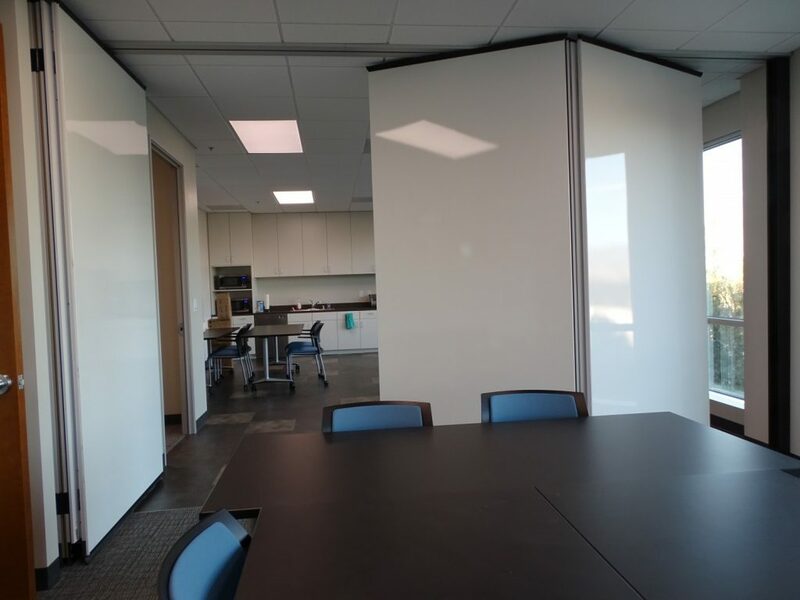 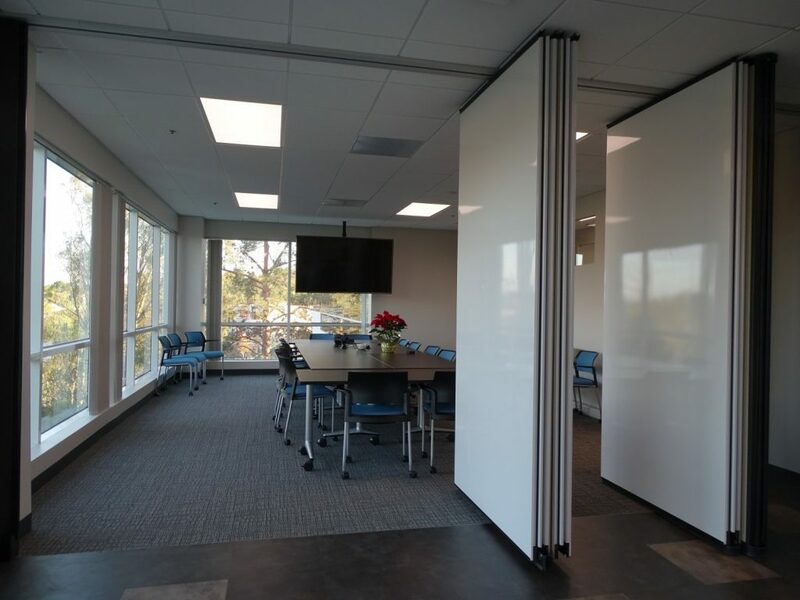 This project with Moderco’s 742 paired panel system with 50 STC show the flexibility of finishes for operable partitions. 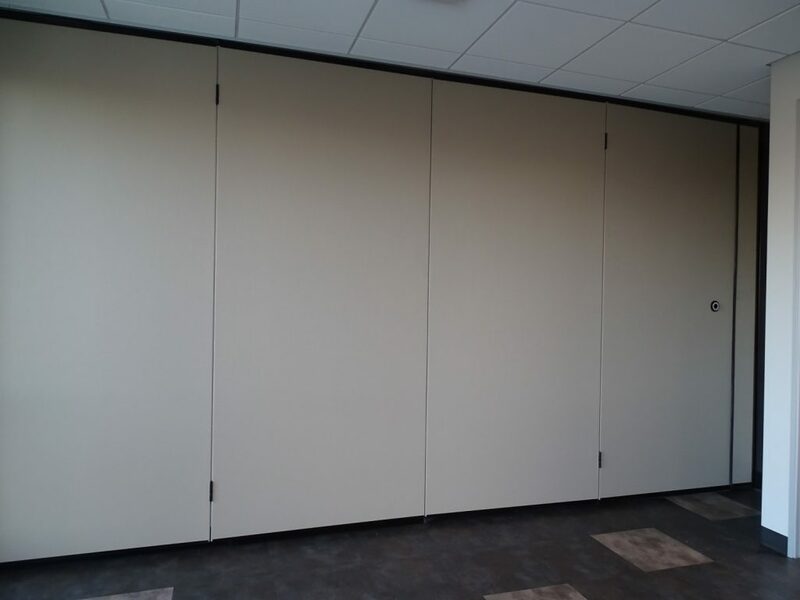 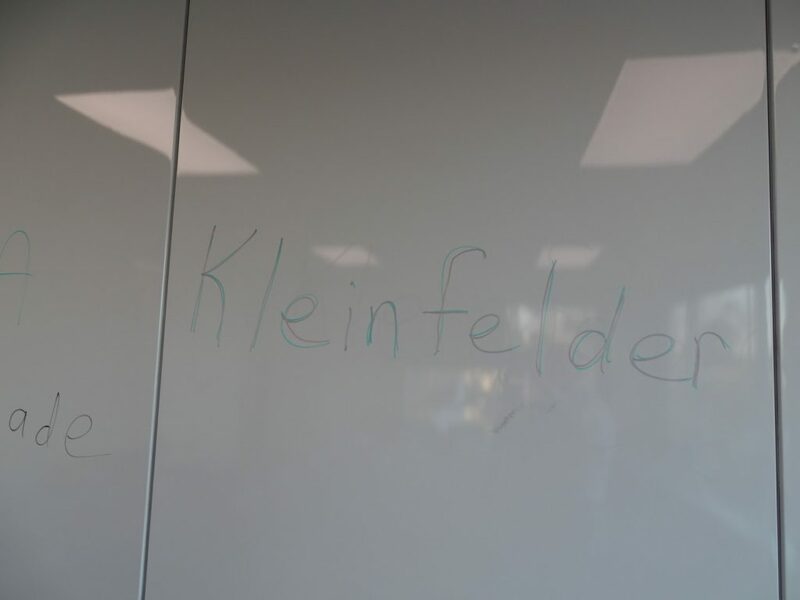 One side has floor to ceiling markerboards and the other has fabric. 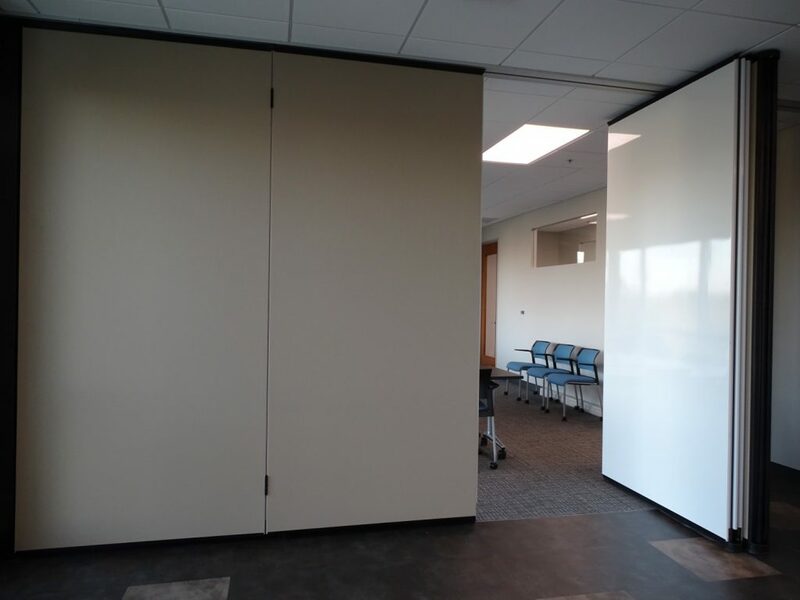 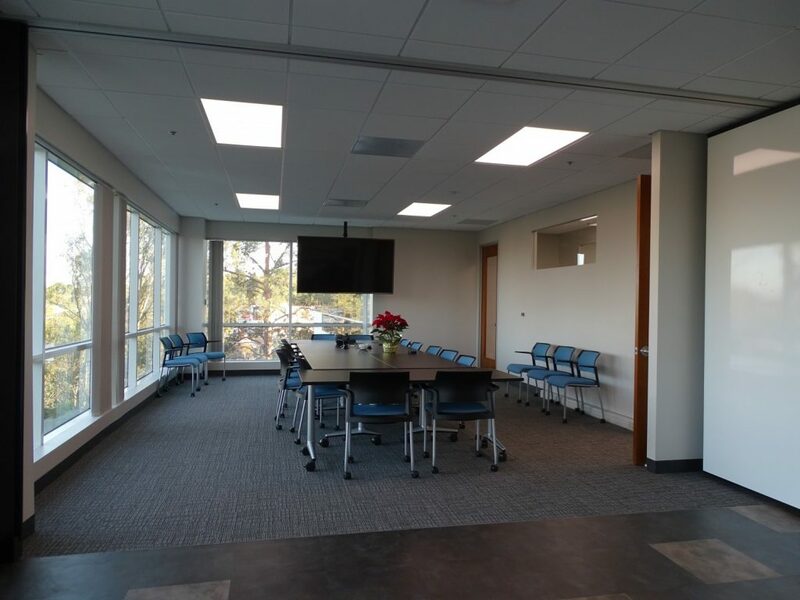 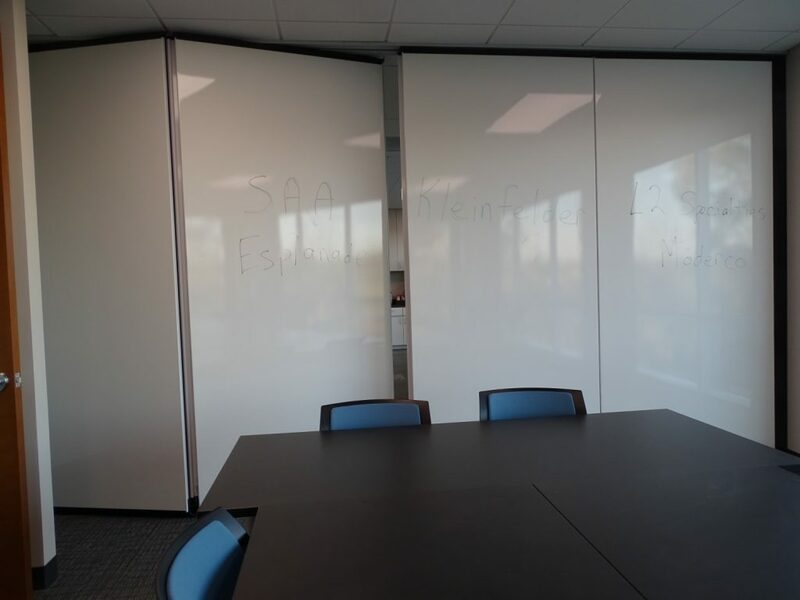 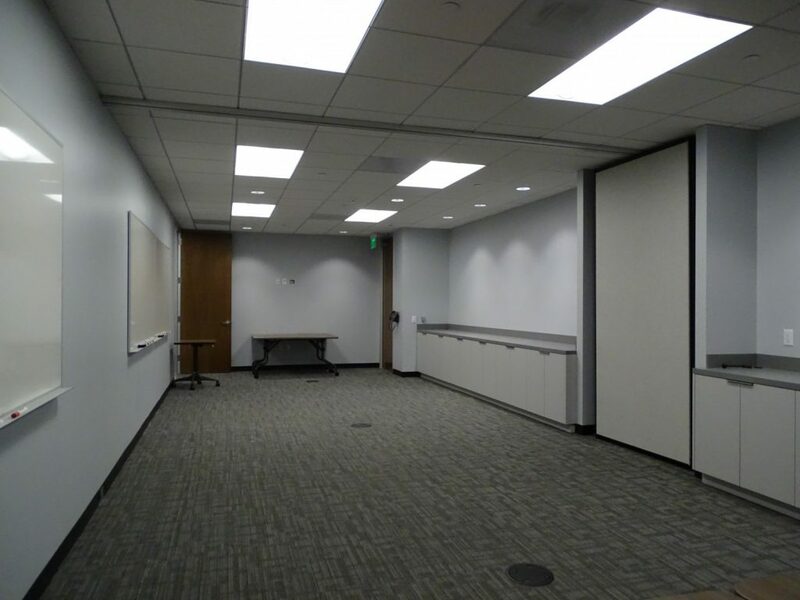 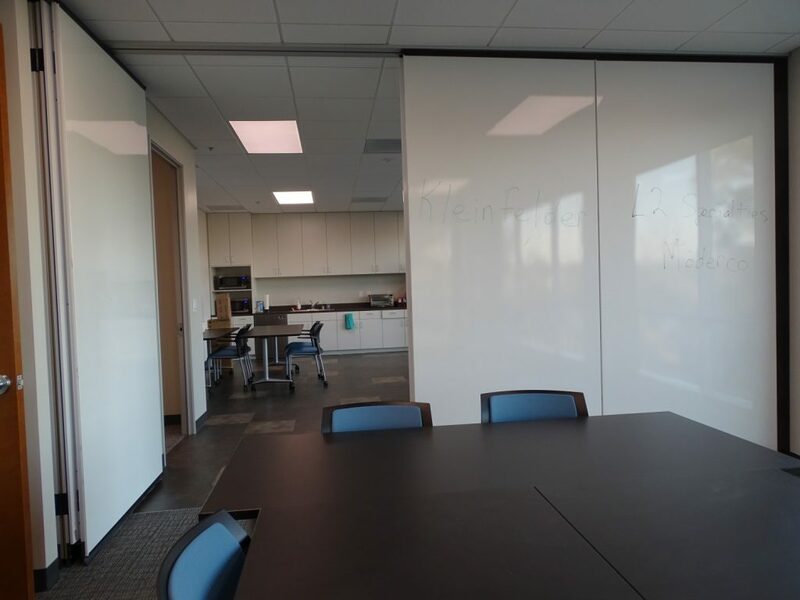 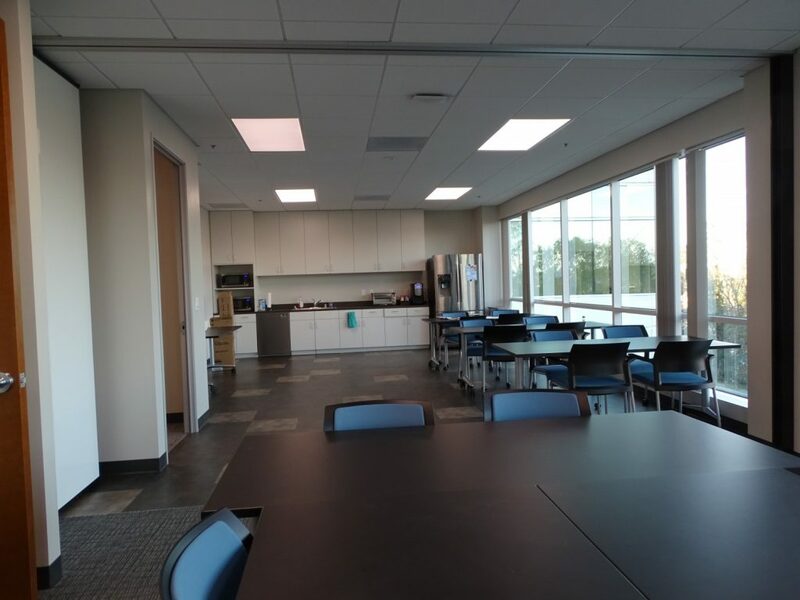 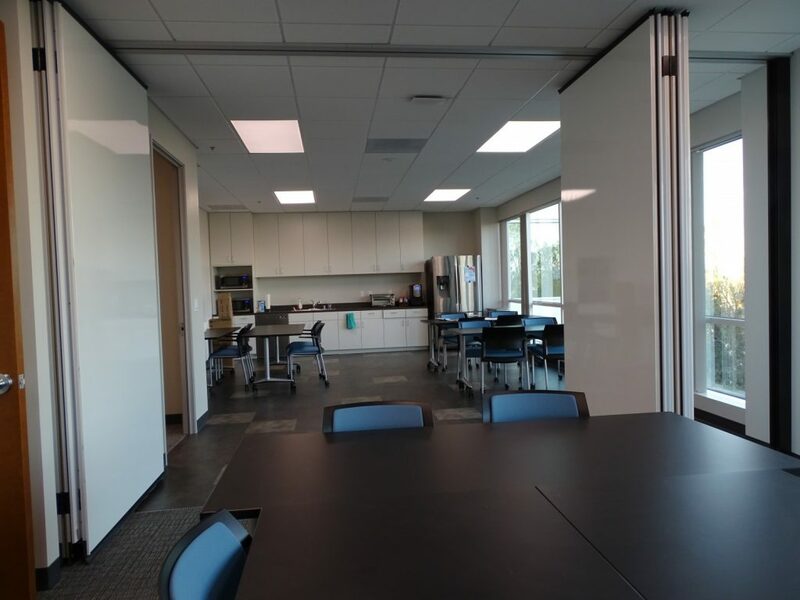 Whether you have a training room, conference, break room or mulitpurpose room we have a finish that will work for you. 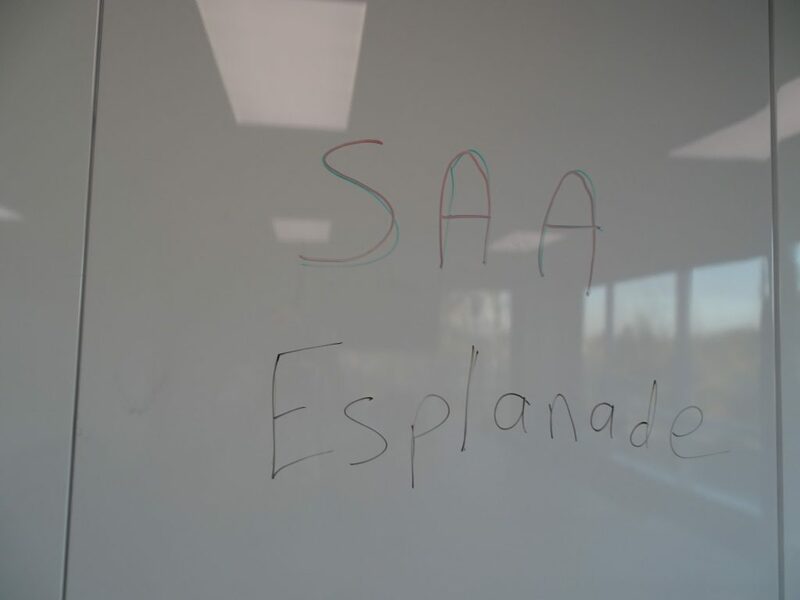 SAA Interior Design did a great job designing this project we completed with Esplanade Builders.